Established highlines at Smith are a bit elusive. HERE's the latest info on currently bolted ones for you. 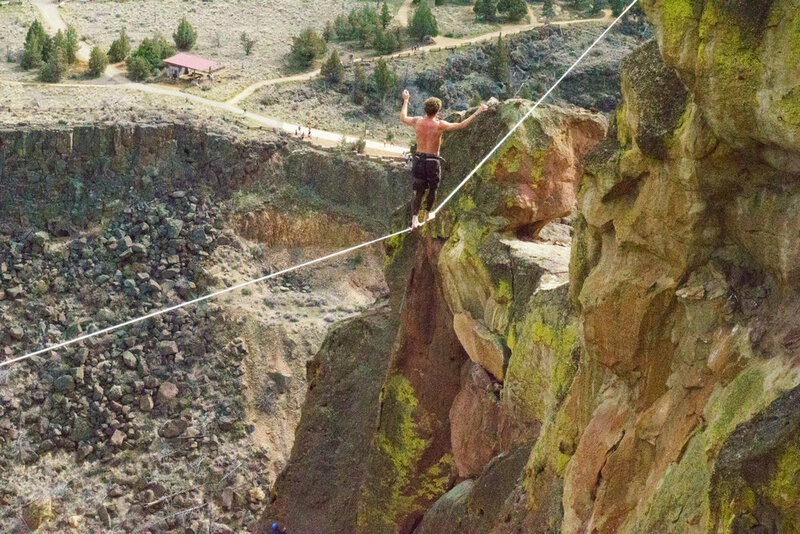 Things change quickly, so if you don't see what you're looking for or need more info reach out to the local slackline community on Central Oregon Slackline.